Photo A: A Man With a Leica, Circa 1950. Photo B: A Man With a Leica, Circa 2015. What Does The One Have to Do With The Other? 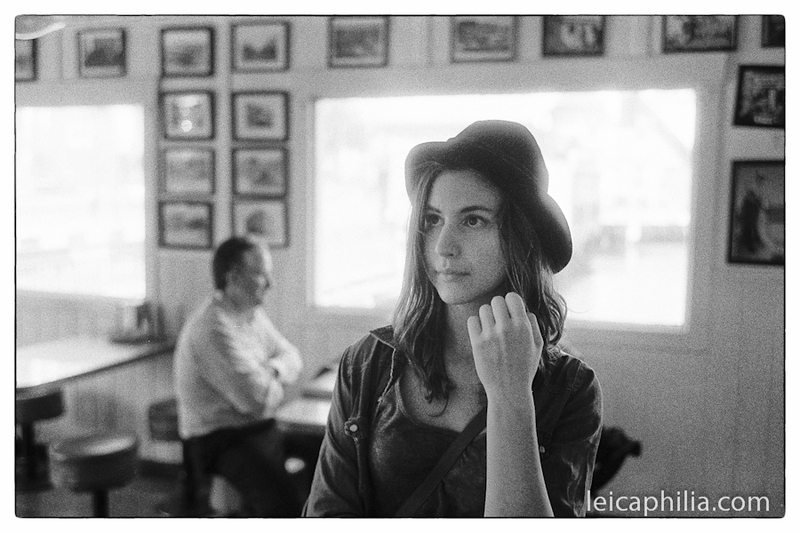 I love Leica film cameras. And as much as I love Leica film cameras, I remain profoundly ambivalent about Leica digital cameras. God knows I’ve tried to like them. I own an M8, my second, bought shortly after I sold my first and regretted not having it around. It’s an interesting digital camera, unlike the bloated plastic and magnesium monsters offered by Nikon and Canon. But the economy of means possessed by the film cameras somehow feels absent in the Digital M’s, the traditional M’s restrained simplicity having crossed over in the digital models to an ostentatious austerity, attention to necessary details having evolved into the excessively fussy. The digital M’s even look inauthentic in some undefined way, maybe in the way a self-consciously “retro” edition looks in relation to the real thing. If it were just the aesthetics of the cameras themselves, I could overlook it, but it’s the experience the digital versions provide that’s unsettling for me. Every time I use my M8 it feels odd in some way, like a simulation of the “real” experience I enjoy when using a film M. The cameras themselves might share a similarity of form, but that’s where the similarities end. The respective experiences themselves bear almost no relation to each other. You might as well be engaged in different activities. And isn’t that traditionally why photographers have loved and used Leicas; why they’ve always paid a premium for them, the simplified elegance of the photographic act they allow? The tools you use to create structure what you create. In Shop Class as Soulcraft, Matthew Crawford argues that genuine agency arises in the context of submission to the tools we use, tools that have their own intractable ways. The important thing to remember, if you agree with Crawford, is that the experience we can have is dependant on the tool we chose to use. The design of a tool conditions the kind of involvement we will have in the activity. Some tools are better adapted to the requirements of skillful, unimpeded action, while other tools can prevent skillful self-assertion and can compromise the experience of seeing a direct effect of your actions in the world. I would argue that this is especially true for photography. You can choose digital technology for its quickness and ease of use, but at the certain cost to your own creative autonomy and of your experience of the craft you are engaged in. Or you can use traditional analogue processes and more fully engage your own skillful involvement to create something. Valentina, Red’s Java House, San Francisco, Arista.edu 400 @800 iso in Diafine. While the digital/analogue argument will seem a tired exercise in nostalgia for most photographers, there remain deep biological factors at play that militate against it ever being completely resolved for some of us. Historically, creating something required a tactile interaction with materials and substances, the result of a deep intelligence that could not be learned without material manipulation and embodied experiences and an understanding of the cause and effect relationship that exists between actions and their consequences. The hand and handiwork is a major thing that sets humans apart as a species. The earliest divergence of the species that evolved into modern humans began with an evolutionary reconfiguration of the hand allowing sophisticated tool use. You can make the case that this is, literally, what defines us as human animals, and argue that rationality, what is commonly understood to be the uniquely human, came along as a byproduct of the use of tools, as sort of a evolutionary development of the neural software necessary for tool use. Digital virtuality is propelling us further and further away from physical, tangible experience. What is lacking in the new digital photographic paradigm is the physical experience of photography, the activity that has traditionally constituted photography, the physical making as part of the creative process. The singular final print, the end result of a chosen process of varieties of film, the mechanics of the camera, the physical activities of developing and printing. We are in danger of losing the sense of the photograph as a physical thing. A photograph is not only seen—it is touched, read, received and manipulated. It is fully appreciated only as a product of this physical relationship, and in that relationship it will always remain elusive, a handmade object irreducible to any single dimension. The most detailed digital rendering, what you might view on your computer screen, preserves only a vestige of the physical photograph’s real, dynamic nature. Yes, you can print a digitally produced photograph, but how many people do? Contemporary photography has a certain look, a function of its technology. It’s the reason many of us still shoot film. Some of us still see certain creative possibilities in ‘The Film Look’ that aren’t given us with digital capture. So, if and when digital technology advances to the point that it can reproduce the appearance of films and formats precisely, will the process of analogue alone be enough to keep some of us using it? For hand made processes, where their idiosyncrasies are intrinsic to the print, undoubtedly. But what of industrial films, which were designed to react with light in a consistent way without variation? 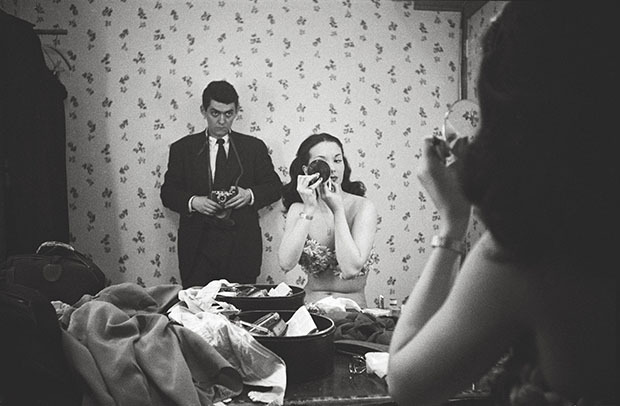 To paraphrase Elliott Erwitt, photography should be taken seriously and treated as an avocation. We should love the doing of it and do it for that reason. And I think a big part of this is engagement in the process, and in that respect I find traditional photographic processes much more rewarding, partly because they embody a certain set of skills that reward detailed attention and experience. The analogy to cooking comes to mind: Taking photos digitally and editing them on a computer is like cooking a TV diner in a microwave. The film process is a gourmet meal cooked with attention to every step in the process. Film process – how demanding it is to use as a craft — is its enduring strength, but it’s also why film is now a niche with no aspirations to popular appeal, aimed squarely at discerning users, while the convenience of digital has made it the tool of choice for the average guy who just wants to photograph something. Analogue users belong to the future because they are guardians of the past. Let’s hope we film aficionados, the people who occupy that niche, are able through our efforts to keep film alive for future generations. Technological change is too often a “Faustian bargain” in which something is sacrificed in order for something new to be gained. Will we sacrifice what is of real value in the photographic experience for the new we’ve gained? This entry was posted in Film photography, Leica Digital Cameras, Leica Film camera, Leica History, Philosophy of Photography on June 25, 2016 by Leicaphila. I have just spent a year with an old Leica M2, and a 50mm DR lens shooting and processing as many rolls of mainly Tri X but also a choice range of other brands, latterly some Portra, and quite a number of rolls of out of date film in colour and b&w. I have enjoyed this exercise immensely, but also found much to frustrate, when it the camera and me the photographer are good it is great fu, but when either of us are off kilter, it can be really annoying rather than satisfying. I now have a Leica M-P and three nice lenses, far more satisfying… I use the camera pretty much like one would use an M7, I have the display switched off, I shoot only DNG and I pretty much fix my ISO depending on prevailing conditions. I miss much less, and enjoy my photography just as much… When I load it to Iridient, I make very few changes, usually just creating a JPG of the shots that I want to keep. In addition, a couple of weeks back I attended a large format class where I learned how to load 5 x 4, and use a Sinar camera both in the field and the studio… (lighting was set up by the tutor). For those who really want to have have fun with film, I really recommend this direction since these cameras offer far more adjustability and somehow one is forced to slow down and concentrate rather than snap. For me, the value of one thing, or process, over another, i.e alternative, resides only partially in what is rendered when everything goes as it should- the ideal result. Full and meaningful analysis must include what is left when things go horribly wrong………Because things can, and will, go horribly wrong from time to time. One of the treats of this world that never fails to bring a smile to my face, and often times make me laugh out loud, is the view of a group of ducks waddling along in a line. I remember where it all started….A friend of mine and I were drinking beers and getting our blood pressure up through a discussion about politics, when I noticed, behind him, a string of about ten of his ducks marching by in a perfect line. I have chuckled about it ever since. Unfortunately, I did not have a camera at the time………and seem never to have one whenever I see such a thing. Last week, while visiting my daughter in Virginia, I was having my morning coffee and fondling my recently purchased Leica II and 50mm 2.5 Hektor, when a string of ducks walked by in the dim morning light. It was the first roll of Tri-x I had loaded into the camera and I had no idea, the integrity of the mechanism; as it turn out, the only thing that went right was the fact that the lens cap WAS off and the shutter worked well enough to expose a portion of the frame correctly. Now that I have had the chance to consider the photograph, again and again, over the past few days, I judge that I could not possibly have captured a better representation of what exists, in my mind’s eye, concerning ducks on the march…… Maybe some will have no appreciation for the event or the photograph; but it does not matter……It is not about an ideal, it is about my human experience and a moment in time. A moment I can now revisit and share……..Maybe it will allow me to form, or strengthen, a bond with some like-minded soul. The only absolute: It would not have happened, had I been using a digital camera. It is a pleasure to read your essays. They keep us aware of photographic traditions and I appreciate the value of history. Mind you, my photographic experience differs from yours. Even in the digital age, printing the pictures remain a must for the photographer. This is the mark of dedication of a committed photographer, I believe despite the formidable exposure given by the web. Nothing beats the trill of holding a print and showing it. The digital process is a huge step in progress over the analog darkroom work. I have been printing my B&W pictures since 1977. If I do miss sometimes the fun of using the enlarger, easel and sink, I do have far more control with my Epson printer. But I do prefer the prints coming out of it over my older prints. Great stories, plays, scenarii, have been written on mechanical typewriters; the contemporary ones written on computers are no way less good, and their authors are no less dedicated. It is the same thing with photography, It is called progress. And we should be glad that Leica has done the transition so well. I use both analogue and digital Leica’s. The Leica I enjoy using the most is my silver MP – shooting film forces you to slow down and to economize rather than shoot like crazy in the hope that at least 1 shot out of 100 will be a keeper. I feel more like a photographer (but only an armature one) when I use a film camera and the cameras are more aesthetically pleasing – particularly the winder. 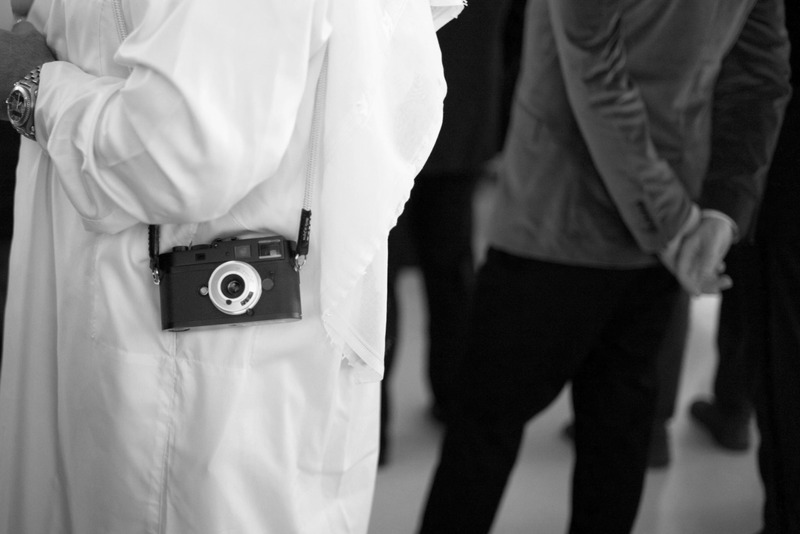 So I understand you when you say a digital Leica is a bit like a faux Leica – the feel is not quite the same. Despite that, the cameras I use most frequently are my MD and Monochrom – particularly the Monochrom which produces beautifully detailed shots, almost as if it were a medium format camera. At the end of the day its the results that count and I find that I get better shots from my Monochrom than my MP – its simply the camera that inspires me the most. Back in the 60’s we bulk loaded 100′ rolls of TriX on to reusable cassettes and developed the film in a tiny darkroom in my garage. Printing was doable but not as easy because of the amount of chemicals needed to develop and fix prints. The trays were large and keeping the temperature constant was never easy, and then having to store what was still good back into bottles…so I’d wind up using a popular dark room rental facility. You seem to have forgotten those of us who came out of the tactile/analog world and now embrace digital capture. My creative juices are still going as strong as ever and to hear you say: “You can choose digital technology for its quickness and ease of use, but at the certain cost to your own creative autonomy and of your experience of the craft you are engaged in. Or you can use traditional analogue processes and more fully engage your own skillful involvement to create something”, sounds just like a superior smug dig. My photo process is as real as any Lieca filmster out there and I still print my images but now don’t use chemicals but pigment inks. Your quip about the comparison to cooking…”Taking photos digitally and editing them on a computer is like cooking a TV diner in a microwave” is the icing on the cake and shows your ignorant intolerance to fellow photographers striving to improve their craft. Photography is an hobby for me, that’s why it is is far more important than what I am doing for money. I discover the M around 10 years ago after my first digitals camera….I really enjoy The M6, was in love with the m7 and mp, but move on to all the digital M . I was missing the developpment process, the dark room and keep doing films with m6j and mp…. When Leica announce the MD I immediately click to the experience of staying in the moment, and not checking the past picture. I bought it. Since I discover that with an eyefi sd pro card and an ad with apperture mobile I can, each evening, or when I want, developp my raw and in the same time discuss with friends or lie in bed….This experience of developping on IPAD IS VERY MANUAL AND IMMEDIATELY REMIND THE TACTIL OF THE CUVE AND CHIMICZL PRODUCT. you use your eye, your finger….. It is a dark room on your knee….when you want. I am so glad for this MD ans the way I process my picture. I am just dreaming about a small black and white printer to share my shoot. Last time I experience that feel with a czmera was with my last M2…. No Digital could be very real….just remove all this useless menu, useless button, useless preview….go MD and developp manualy, with your ipad. No matter how you put it, is the picture that counts. Now that we’ve got that out of the way, I’m here to tell you that I enjoy my Leica M-A (and previously my MP) much more than any digital camera I’ve ever used. ANY digital M will be outdated in say, 10 years from now whereas a film M can still be used, even with a 20 EURO roll of Tri-X. Investing in electronics is about the stupidest thing you can do, second only to voting Donald Trump.